Tags containing: "digital advertising revenue"
Getting ones’ news digitally is not just for millennials—it’s the norm these days. In fact, nine in 10 U.S adults get their news digitally either via desktop or mobile. We’ve also seen strong digital native brands, those originally founded on the web like Vox Media or Huffington Post, emerge as leaders in the news marketplace. The new Pew Research Center research looks at 36 digital native news outlets that averaged at least 10 million monthly unique visitors in Q4 2016. The analysis provides an excellent snapshot of the digital native news industry’s audience strategies to increase outreach and engagement. Overall, digital native news outlets are performing well. 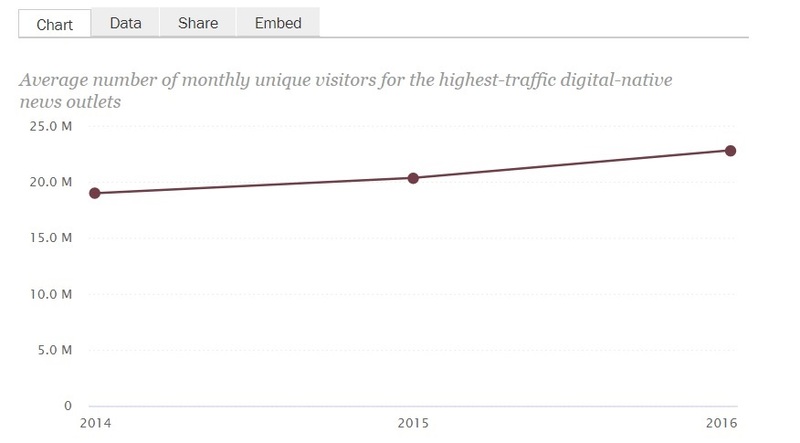 Monthly unique visitors for the 36 sites for the digital native news outlets increased 12% in 4Q 2016. Users also spent a healthy 2.4 minutes per average visit. The use of digital native news apps is an important part of audience strategies. Close to two-thirds (61%) of the highest traffic digital-native news outlets have apps available for either iOS or Android. Mobile compatibility is an important part of their overall strategy and user engagement. In fact, 42% of these new outlets have apps supporting both iOS and Android. User outreach is key to building and sustaining engagement. Almost all digital native publishers (97%) offer newsletters. Three-quarters produce podcasts and 61% have comment sections on their articles to promote consumer feedback. Digital news outlets also rely on social media to engage their users: All of those covered have Facebook pages and Twitter accounts. Almost all have Instagram accounts (92%) and are on YouTube (97%). Less than 25% have a Snapchat channel or account. 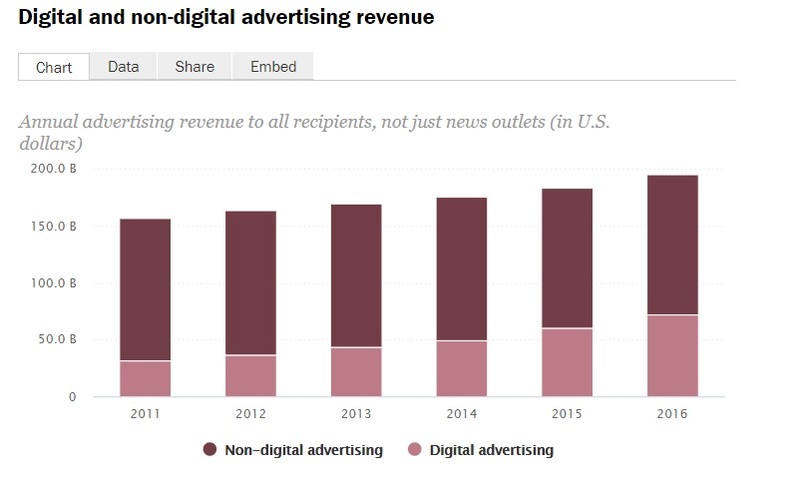 Digital advertising continues to grow as a proportion of total advertising revenue, a trend that Pew points out is driven in large part by growth in advertising on mobile devices. Interestingly, based on a Pew Research Center survey conducted earlier this year, more than eight-in-ten (85%) U.S. adults now get news on a mobile device compared to 72% just a year ago. The report cites eMarketer estimates that digital advertising grew to $72 billion in 2016. Mobile advertising revenues accounted for 65% or $47 billion of the digital ad sales revenue. Desktop advertising revenue on the other hand continue to decline, now at 35% of total ad revenue. And, as ever, the report emphasizes the dominance of Facebook and Google in both banner and mobile display ad revenue. Building a strong native digital news brands includes a platform native approach aligning publisher, platform and consumer strategies. Digital native publishers should experiment to find their unique voice and consumer connection. Importantly, the strength of a native digital news brand is deeply rooted in an engaged reader relationship. Q3 ranks highest quarter ever for digital advertising, but who’s making money? Advertisers spent a total of $17.5 billion dollars in digital media in 3Q 2016, a 20% increase compared to same time-period last year and a 4.3% increase over prior quarter. This is the highest third quarter for digital advertising spending on record according to the latest IAB Internet Advertising Revenue Report. Almost half of all digital ad buys (47%) were on mobile platforms with spending on desktop experiencing a 12% as compared to the same time last year. But the real question is which media players are capturing these digital ad dollars? According to Brian Wieser, a Wall Street analyst specializing in AdTech for Pivotal Research, Facebook and Google received more than 75% of this revenue. 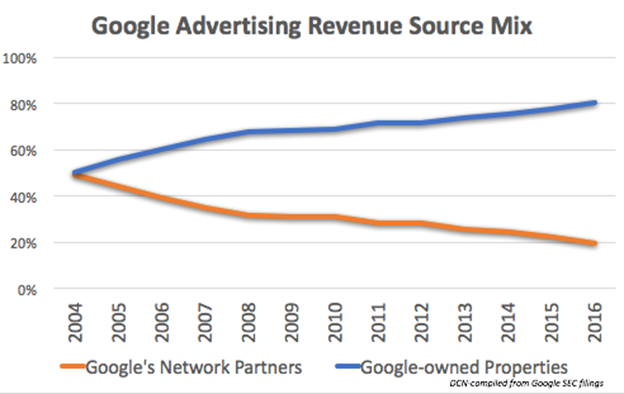 Based upon his analysis, Digital Content Next CEO Jason Kint points out that while Facebook and Google registered strong quarterly profits, when these two players are excluded from digital ad revenue growth, digital media spending averaged a mere 1% increase in Q3 2016. So while digital advertising revenue growth is exciting, the overwhelming dominance of only two players certainly dampens any enthusiasm around the finding for the majority of industry players. Media climate change is real. Are you ready? Many of our member companies have stepped into the industry’s latest fray around fake news and its potential impact. Our member companies are not immune. They have a lot at stake because in a world where false stories often can spread faster than the truth, trust matters more than ever. From The Weather Company’s response to Breitbart on the veracity of climate change to NPR’s call for healthy reader skepticism and Vox’s analysis of “Pizzagate,” reputable media outlets are eager to get to the root of the problem. Our members have also called upon the technology enablers that make it so easy to share information to step up and help ensure our brands can serve as proxies for credibility and reputation to guard against further pollution of the web. Because we all realize that it is way too easy to retweet or to re-share news without vetting it ourselves. Without a doubt, fact checking and fake news are a couple of the topics that dominated the media mindset in the final months of 2016. But as we head into the New Year—and a drastically different political landscape—it is a good time to take a clear-eyed look at what lies ahead. Unfortunately, the industry was seduced into seeing Google and Facebook as friends when the truth is they are better described, as they often are now, as “frenemies.” We must face up to the fact that two public companies operating effective monopolies in their carved-out lanes (search and social media, respectively) will never be “friends” with the serfs working their land. The duopoly powers have three things in common: 1) they control much of the data collection across the web and app world; 2) they own the technologies to deliver and target ads; and 3) they often control how or if they’re even measured. 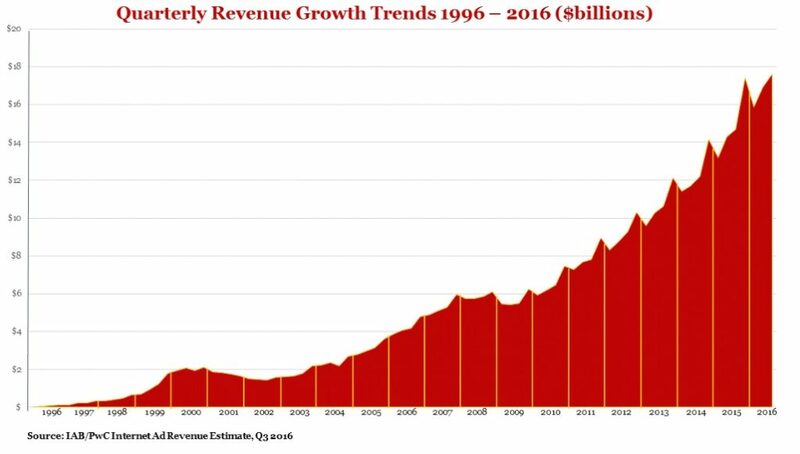 So no one should be surprised that they also control 100% of the growth in the U.S. digital advertising industry. This is real. The press is talking about it. And regulators are asking about it. However, one thing is certain: Monopolies eventually draw scrutiny which can open up competition. And a competitive distribution environment almost always leads to more opportunity and value for content companies. So, the ultimate question to be asked is how valuable would these two companies be without all the information, entertainment and news brands that populate them. I expect these discussions to continue into 2017. I also expect the New Year to bring warm hugs from Facebook and Google. If not, they really have let their egos and quarterly earnings usurp common sense. ISPs welcome Trump their savior. The consolidated large media distribution companies fought incredibly hard for many years to support “net neutrality” but avoid any legitimate regulation to enforce it. They ultimately failed in 2014 because, simply put, the rules make sense: Protect the 1st amendment and emerging players by allowing content companies and consumers to unite without gatekeepers choking the access points to the world wide web. Well something funny happened after the fight was thought to be mostly over: Republicans swept Washington and are now in position to roll back regulations. It’s not a question of when but how. The companies best equipped to fight this off, Google and Facebook (despite opposition from open internet advocates) are likely to stay on the sidelines as they have deep fears of the privacy rules that were also put in place. If net neutrality is overturned, the only certain losers will be publishers and their consumers. As Barry Diller said at Ignition: “It would be wildly criminal” to lose net neutrality. If net neutrality is indeed neutered, expect more M&A activity as content companies marry up with the pipes in the blueprint of AT&T and Time Warner. The content company can then combine the data of its friendly distributor with its own media and advertising inventory. Unfortunately, there can only be so many suitors and even if mergers can get around the obvious consumer concerns, it still doesn’t get around the scale issue. ISPs see all of the data for only the percentage of market they control. Google and Facebook have the tremendous advantage of seeing nearly everything for everyone. In 2016, the marketers (ANA) released their landmark investigation on transparency practices. The agencies (4As) released their own transparency rules. Publishers mostly watched the tussle with the underlying sentiment that the more transparency from start to finish, the better the digital advertising ecosystem will work in providing value to brand advertisers. Simply put, marketers want to run their advertising in trusted environments that enhance their brands and messaging. As comScore research showed, DCN’s members offer precisely these environments. Too often the complexity and opacity of the current programmatic digital advertising environment pushes quality marketing messages into invalid and often fraudulent impressions but also into inappropriate placements that hurt their brands rather than provide value. This discussion is far from over. Audits are growing, agencies are making waves and I expect more information to surface. The Department of Justice’s subpoena earlier this week only confirms it. In 2013, Henry Blodget, Editor in Chief of Business Insider, famously wrote we were entering a “golden age of journalism.” Repeat after me “golden age.” His arguments were that the world was more informed, every journalist on earth had more distribution opportunities to reach consumers directly across devices and platforms, there is more talent than ever coming into the field, and the peril of newspapers and magazines were greatly exaggerated. When I get a minute, I want to ask Henry if he still believes this, particularly the last point. While we may not be able to control the weather, our ability to predict it accurately (or not) can greatly affect its impact. 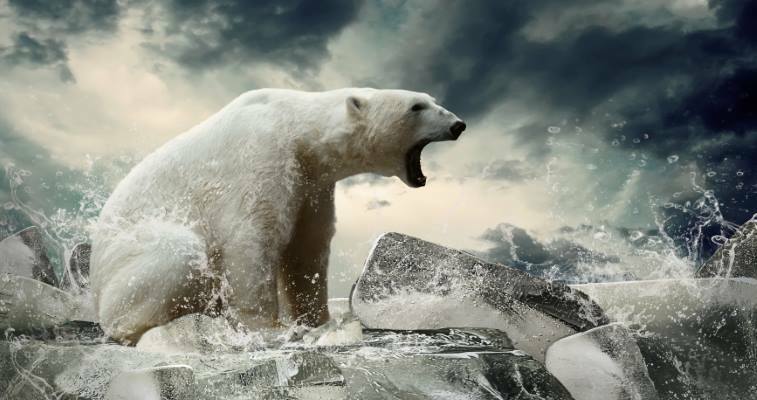 Taking a clear, informed view and building our strategies accordingly will allow us to be prepared for anything from the extreme heat of consumer mistrust to the mudslides resulting from a torrent of bad actors. As witnessed by The New York Times’ post-election subscriber surge; as seen through Dow Jones CEO Will Lewis’ belief that the furor around fake news will prompt Google and Facebook to own up to their role in the media ecosystem; and as expressed by Michael Rosenblum on the Huffington Post—there are also opportunities that come with fair winds and stormy weather alike. And we, as the trusted media brands, need to be ready for whatever is next in this rapidly changing media climate.